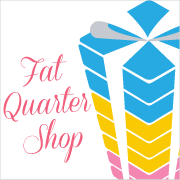 Spun Sugar Quilts: 2013 Giveaway Day Sew Mama Sew !!! 2013 Giveaway Day Sew Mama Sew !!! Amy Grant's My Grown up Christmas List. ALison of Little bunny Quilts. sponsoring the blogger's giveaway day. My goal is to keep this simple. I will announce winners by December 14th. My favourite Christmas song is a tie between Silent Night and You're A Mean One Mister Grinch. No one ever accused me of being consistent. I love Oh Holy Night. I used to sign it instead of a lullaby to my kids. My favorite Christmas song is Joy to the World. Nice give away. Thanks for the chance to enter! White Christmas sung by, Bing Crosby. Also Jose' Feliciano singing Felic Navidad they both get me into the Christmas mood. LOVE the fabric's you've picked! Thanks! My two favorites are "O Holy Night" by Nsync (or any version, but that's my fave) and Amy Grant's "Breath of Heaven". Tears every time I hear that one. Nice give away! My favorite Christmas song is O Holy Night. My favourite Christmas Carol is The First Noel, and Christmas song is I'm Dreaming of A White Christmas. A lovely giveaway, thank you. Silent Night is my all time favorite, although I really enjoy so many of them. Merry Christmas! White Christmas by Bing Crosby - it's a tradition. Thanks for a chance to win such a cool prize. "The Christmas Shoes" is my favorite. Gets me every time and reminds us all of what this season is about. Thanks for the chance at your awesome give-away. I Wish it Could be Christmas Everyday..which I will now be singing all day!! Thanks for the giveaway. My favorite Christmas song is Mary's Boy Child. I found it on iTunes a few years back and just love it! Little Drummer Boy. Thanks for the opportunity to win! White Christmas by Bing Crosby and then some spanish Christmas songs. I enjoy Suzy Snowflake by Rosemary Clooney. I love the song Mary's Boy Child. My favorite Christmas song is Silver Bells. 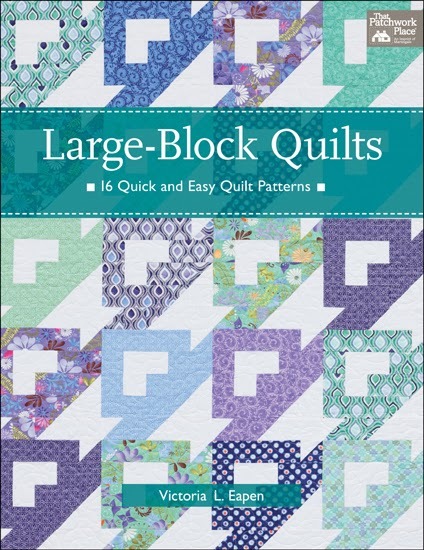 I love low volume quilts. I enjoy your blog! Thank you for being part of giveaway day - I love holiday music - Hang out the Holly is one of my favorites. winter Wonderland has been my favorite for what seems like forever. O Come O Come Emmanuel is my favorite. I love the harmonies. I've always loved Silent Night. Great giveway! Thanks so much! My favorite Christmas song is O' Tannenbaum. I learned it as a child while living in Germany and it still sticks with me. My favorite Christmas song is "Have yourself a merry little Christmas". The original version sung by Judy Garland is my favorite because even though times are tough, you are encouraged to be joyful. My favorite Christmas song is "Mary Did You Know". I love Merry Little Christmas and Deck the Halls. My favorite is do they know it's Christmas from band aid. My family loves the 12 Days of Christmas! Thanks for the incredible giveaway! Winter Wonderland! It was written in my town when the he was sick and missing home. His house overlooked the park. Oh, that's a hard one. I'm going to have to go with White Christmas since I also love that movie. My favorite song is Go Tell It on the Mountain by Pentatonic. Santa Baby! it makes me happy. What great low volumes! I would have to say Silent Night. White Christmas by good old Bing Crosby! I also love the movie 'White Christmas' and watch it every year. O Holy Night is my favoite to play on the piano. Merry Christmas! One of my favorites is Still, Still, Still. It is not heard very much on the radio. I heard a choir sing it and loved it. Thanks for the chance to enter. My favorite Christmas song is All I Want For Christmas by Mariah Cary. Ooo - so hard to choose mine, so I'll tell you my husbands - Driving Home for Christmas! Oh, Holy Night. But I really like all of them that point to Christ's birth. "All I want for Christmas is You" totally gets me into the holiday spirit! I'll be home for Christmas by Elvis Presley. Love most of them, but Santa Claus is Coming to Town by Bruce Springstein really gets me moving!!! I love "O Holy Night" and "We Need a Little Christmas". O Come O Come Emmanuel by the Piano Guys. I don't think I could pick just one, I love all Christmas music! Jingle Bells is the best :). Thanks. I love your selection of low volume prints. And your book, too–Wow! Thanks for a chance in your giveaway. Santa Claus is Coming to Town. Would love to win your generous giveaway. My favourite song is Santa Baby especially when sung by Eartha Kitt! I can't sing if my life depended on it, but I love "We Three Kings". I'll Be Home for Christmas, followed by White Christmas. It is just not the holiday without hearing those two songs. Impossible to have a favorite but I do love All I Want For Christmas! I love "Little Drummer Boy" although there are so many wonderful holiday songs, it's tough to decide. A favorite?! It might be Silent Night. I love them all, the first ones that come to mind are Hark the Herald Angels Sing and I Saw Mommy Kissing Santa. I had to sing Hark the Herald Angels Sing in Christmas Eve service in 4th grade and my mom used to sing about kissing Santa. Mary, Did You Know? is my all-time favorite. I get goose bumps every time I hear it. One of my Favorite Christmas songs is Joy to The World! Great giveaway- I definitely need more low volume in my stash. Great giveaway! My favorite xmas song is Wonderful Worl by Melanie Thornton! O Holy Night has to be one of my favorites! I love "I saw three ships"
I think Silent Night is at the top of the list. I think it is called Mary Did You Know, my little David came home singing it one night, he is 8! Loved it ever since! It was like he was asking Mary! I am a follower and the book and fabric are awesome girl! I love Bubles version of "I'll be home for Christmas", what a gorgeous bundle of fabrics you're giving away! Thanks for the chance and happy holidays! My new favourite is by Chris Rea called Coming home for Christmas. I like the German song "Es ist ein Ros entsprungen". Thanks! That's a toughie! But I think I will pick O Holy Night. I have yet to hear a version I don't like. Except when I sing it, it's terrible :) Thanks for the giveaway - that's a fantastic bundle! Silent night, that's no question. Thanks for the chance! Oh Holy Night. When I was young, my grammar school put on a lavish Christmas program and one of the moms sang this. I remember her voice to this day - it was absolutely beautiful. Every time I hear a soprano sing this, it takes me back in time and I'm 10 years old again. This is a superb giveaway - thank you. My favourite Christmas song is Fairytale of New York by Kirsty MacColl and the Pogues! I love "I'll be Home for Christmas" but also "Deck the Halls" now that my 3 year old is learning the words! Tough question! Today, I'll go with Rockin Around the Christmas Tree. Let it Snow by Boys II Men...This was always my mom's favorite song and it has become more important to me since she passed a few years ago. My all time favorite is 'the carol of the bells'. I just love that song. Thanks for the chance to win. My favorite Christmas song is Light of the Wolrd by Lauren Daigle. I love drummer boy/peace on earth medley. I sing it with Rhythm of the Rockies...my chorus. google the bing crosby david bowie version. I love hearing God Rest ye Merry Gentlemen, but love to sing Cool Yule! My favorite Christmas carol is Joy to the World. My favorite Christmas song is Silver Bells. easy jingle bells, because my now 3.5 year old has learnt the words and loves to sing along now too! Favorite Christmas song is "We need a little Christmas"...as done by the Muppets :P.
Carol of the Bells. thanks for the chance to win. wow what a wonderful giveaway! My fave song would be Marshmallow world by Tim Wheeler and Emmy. Awesome! Can I say all of the above? I love the classic cartoon songs, but I also love Harry Connick's When My Heart Finds Christmas. I don't think it's Christmas without hearing Fairytale in New York by The Pogues & Kristy McCall, too. I love Bring the Torch Jeanette Isabella. My all time favourite song is Slade's "So here it is Merry Christmas" Great festive giveaway - thanks for the chance to win! Melekalikimaka ~ love it! And my husband won't sing along because he can't say it lol. My favorite Christmas song - ''Baby it's cold outside''. I can't get it out of my head! :) Thanks for the chance to win, my stash is in dire need of low volume fabrics! White Christmas has always been a favorite song of mine. 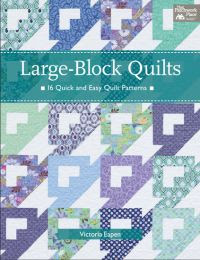 I have your book, but would love to win that FQ bundle! Silent Night is the classic favorite here! Actually not to crazy about Christmas tunes, but do kinda like white Christmas. Love these low volume prints, thank you for the chance to win. Snoopy's Christmas Song comes to mind. "Christmas bells those Christmas bells...ringing through the air.."
Love the fabrics! Thanks so much for the giveaway! I like O Holy Night, always have. Looks like most of us are on the same page..Oh Holy Night is by far my favorite. Thanks for the opportunity in a giveaway, a fabric giveaway by far the best kind! My favorite is Joy to the World. Thanks for the giveaway. My favourite has to be O Holy Night. Thanks for a lovely giveaway. My favorite Christmas songs are anything sung by Nat King Cole. His voice just melts me - especially on Chestnuts Roasting on an Open Fire. Yum! Rockin' Around the Christmas Tree...mainly because it makes my kids do some silly dancing. I love "Mary Did you Know." Little drummer boy by Bing Crosby and David Bowie. Happy holidays. I love the song rise up Shepard and follow by Glad. Thanks for this opportunity! White Christmas by Bing Crosby. I'm not a grandma - I'm in my 20's. There's just something about that song that feels more like Christmas than anything else. anything sufjan stevens christmas is my favorite christmas song, haha. i just can't get enough! Frosty the Showman, or Adam Sandler's Hanukah song. I love almost all Christmas songs... but O Holy Night is my all time favorite. Great giveaway! Thank you! My favorite holiday song would be any song off of the N'Sync Christmas album. My favourite Christmas song is Little Drummer Boy by Bing Crosby & David Bowie. A classic!! What a lovely bundle!!! My favorite Christmas song is Silver Bells - sung by Elvis Presley. His voice is so rich and smooth on this song. It always makes me think of family! What a great bundle! I would say Blue Christmas! You have to listen to Elvis at least once a year! What a great giveaway! I would love to have that for my Christmas present! My favorite Christmas song would be Oh Holy Night. Brings back happy childhood memories. Thanks! My fave song is jingle bell rock, thanks. Mariah Carey's All I want for Christmas is You is one of my favorites among many. Thanks for the chance to win. I like Rudolph the Red Nosed Reindeer. My favorite is White Christmas sung by Bing Crosby. It's been my favorite since I was a child. My favourite is Mary's Boy Child, but Christmas carols are all good. My son singing Silent Night! Baby it's cold outside (and it is!!!). Love love love this bundle! My favorite Christmas song is "I'll Be Home For Chrisfmas". It's not Chrisfmas without hearing that song. P.S. 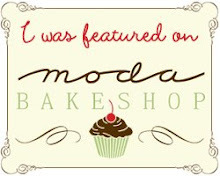 I have been following you on Moda's blog, I really enjoy your style. My favorite Christmas song is "Six White Boomers" an Aussie classic. Bruce sprinsteens Santa Claus is coming to town. Thanks for the chance to win a copy of your book. It looks great. Mine is a tie between Silent Night and Silver Bells! I think I like Jingle Bells the best! O Beautiful Star of Bethlehem is my favorite Christmas song. Merry Christmas and happy new year. Thank you for an awesome giveaway!!! Love them both! Would love to win either one or both:) My favorite Christmas song is "Mary, Did You Know?" Merry Christmas! I love "O Holy Night", brings tears to my eyes. Thanks for the giveaway! Gorgeous selection, thanks for the chance to win! HI,IT IS "O HOLY NIGHT". Wonderful prize! It's not as well known, but I love Infant Holy, Infant Lowly...a sweet old carol. My favorite Christmas song is Little Drummer Boy, and anything by Bing Crosby! My favorite Christmas song is Oh Holy Night. Thank you for the giveaway! If we are talking traditional renditions, my favorite would be the version of "I'll Be Home For Christmas" sung by Lou Rawls. On the other end of the musical spectrum, I LOVE the Ramones' "Merry Christmas (I Don't Wanna Fight Tonight)". And for something that sort of fits between those two, Joan Jett's version of "Little Drummer Boy". Hard to choose... but I would say that my favorite is Have yourself a merry little Christmas. I find myself singing it all over the year (can't say why...)! :) Thank you so much for the chance to win. These low volume prints are really beautiful! I get goosebumps listening to Emmanuel. Thanks for the giveaway! Silent Night is my favorite. It always brings tears to my eyes. I have two favorite songs a oldey and goodie Silent Night and a modern and silly one. Grandmaw got ran over by a reindeer. My favorite is The Little Drummer Boy. Love the fabrics - thanks for the chance to win. White Christmas is my favorite song this time of year. Felice Navidad is such a fun, feel good, Christmas song. Your low-volume bundle is fantastic. Thanks for the chance. Silent night if one of my favorite, Thanks for having a give away. Minuit Chretien, which is the french version of Oh, Holy Night. "Do You Hear What I Hear" is my favorite carol. My favorite Christmas song is "Mary Did You Know?" by Mark Lowry and Buddy Green and sung by Mark Lowry and the Gaither Vocal band. I love the fabrics you are giving away and could really use these low volumn prints. Thanks for the giveaway and Merry Christmas! 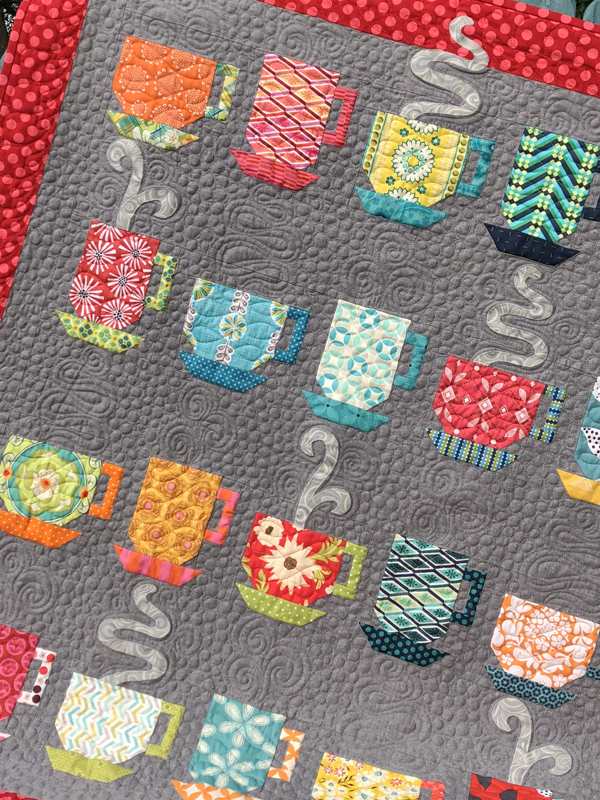 Winner from Sew Mama Sew Giveaway Day!